If your knees get a little weak when you check out the price ($500-1000) and the size (relatively humungous) of the XLR pre-amp adapters available for your Sony A7 series, RX10, Nikon and Canon DSLRS, or your Panny GH4, you’ll like this post. I first learned of this solution from my friend, the NY-fashion photographer Mike Kobal, and I’m going to link you to his post and please, if you buy any of this stuff, buy it through Mike’s links, because he’s the man who invented this (and check out his pictures and videos of beautiful models too…that’s the kind of stuff I’ve never shot in 40 years in the business!). This hack will work for any camera, Nikon, Canon, Panny, Sony, etc. with a headphone AND a mic jack. 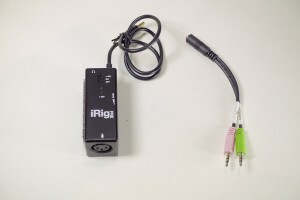 Basically, this is a two part hack: One is the the iRig Pre, a pre-amp XLR adapter that is designed to adapt an XLR mic into your iPhone. It’s about $30 and you can get it through Mike’s links at B&H, Amazon, etc. It’s tiny, runs off a 9V battery, has Phantom power if needed, and has a headphone jack–where you’ll be plugging in your phones because your camera’s headphone (and mic) jack will be filled with adapter plugs to transfer the sound. And the adapter cord is designed to adapt a headphone to a PC. Mike got his on EBay, but complained about their flimsiness. I found that the six inch cords from www.showmecables.com worked a charm ( part no: 23-106-001 Headset to PC Adapter – 6IN ). So, is this solution flimsier than the expensive modules from Panny and Sony and Juiced Link and all the other makers of adapters? Bien sur, of course, but is it rugged enough for my use? Yes indeed! (and can I afford to carry, ummmmn, let’s see, at least 17 backup sets for the price of one of my Sony adapters…but right now, I only carry one backup set). I used this sub-$30 iRig Pre and a $4 splitter cord from ShowMeCables along with my Sony Wireless Mic setup on a recent shoot for a friend of mine, fine art photographer Wendy Paton, as she walked through her provocative exhibit at the Michener Museum in Doylestown, PA talking about her work. John Campbell, an editor with whom I often work, said it was the cleanest audio he’d ever received from me, which (given that I’m a still guy who just a few years ago, knew bupkus about audio) could be damning me with faint praise. But I’d rather think of it as a nice compliment from a demanding and experienced video guy. I used some Velcro to connect the iRig to that other element in the picture, the mounting bracket,which is just a $9 flash bracket from EBay (again, please see Mike Kobal’s post and please click through his links) that I’m using until I find the video cage of my dreams for my Sony A7s and Sony RX10….and when I find it, it will be of course, be the subject of another post. Talking Heads—Do We Need to See the Storyteller ? Inelegant to look at, but at this cost who’s critiquing? Will that Wendy Paton video show up on this site or elsewhere? Bob that tip is worth its weight in gold. Wish I hadn’t just bought a Tascam DR-60D to handle XLR input! I’ll probably keep it but this going to go into my bag for more portability. I’m so glad I found your blog! Thanks for that goes to Thom Hogan. Also loved your BH Photo talk up on Vimeo. As a photographer who has struggled making progress in video your work, blog and examples have been of immense help. 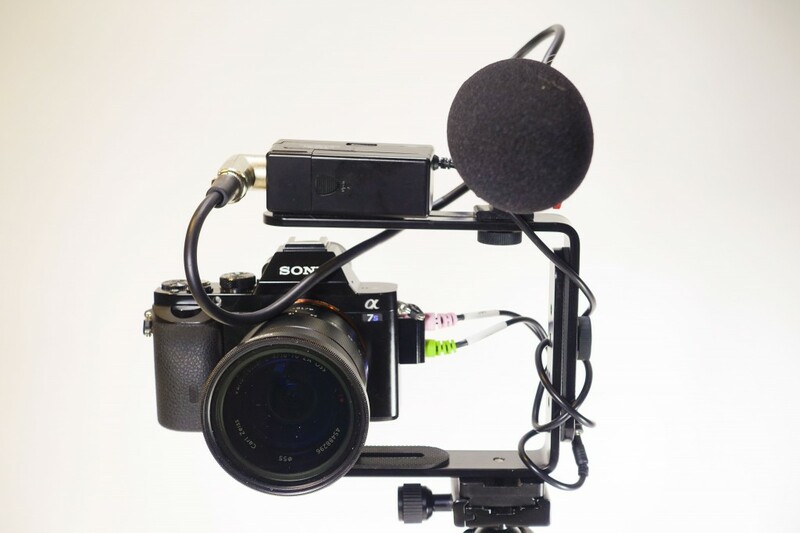 More expensive that this solution, but Sony did just come out with a second shoe-mounted XLR adapter (XLR-K2M) that is cheaper, lighter, and less bulky than the first one (XLR-K1M). I am tempted to try it for my A7s. They did, yes. I don’t know what the item number is, but you don’t need a bracket, it sits right in the Multi-interface hotshoe. Thank you for this post! Great idea – but ist the in-buildt mic (A7) still working if you connect an ex-mic by the mic-plug at the left side of the camera? Is it possible two get a two channel recording the way?